So, follow the instructions below to create a vue.js gantt chart or jump to a complete demo on GitHub right away. The first thing we need to do is to get app skeleton. And for this, we’re going to use vue-cli. If you don’t have one, you can get it with node package manager using command (npm install -g vue). See this article. It will request for some project info. You can just leave default answers and press enter button for each question. Then you need to go to the app directory, install dependencies and run it. Then, to add gantt chart to the application, we should create a component. Now, the gantt chart component is ready. When the element will be added to the page it will initialize gantt chart under “gantt” ref. 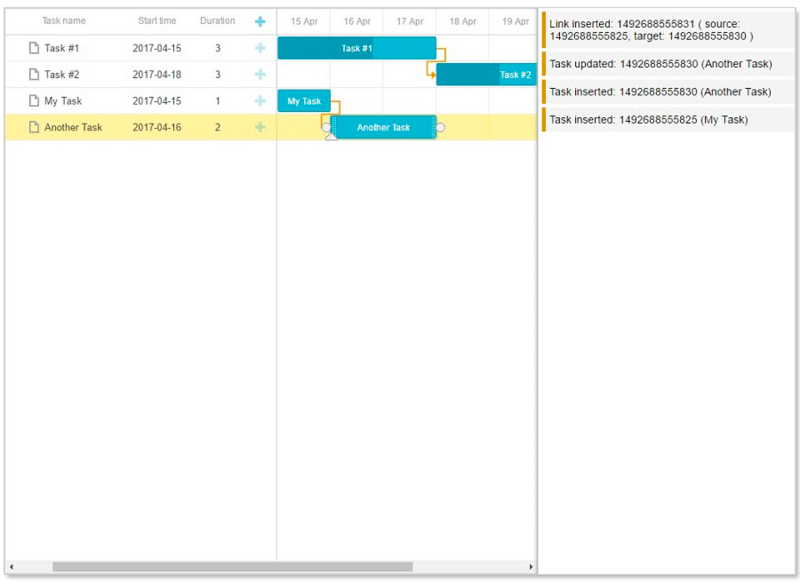 Then, gantt chart will load data from tasks property. And now it’s time to add the component to our app. Open App.vue and add the following code instead that we’ve already had there. 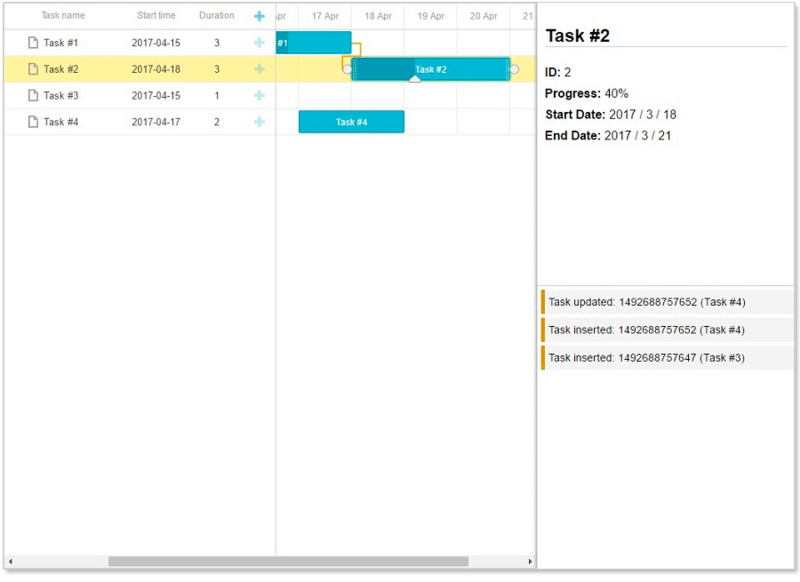 Now, we should see the gantt chart with predefined tasks on a page. Let’s say we need to trace changes in gantt made by the user and process them somehow – show the details of selected item in a separate form, keep data model of parent component up to date, or send these changes to the backend. In other words, we need a way to let the rest of the app know what happens inside a gantt. To do so we can capture API events of dhtmlxGantt and $emit them to the parent component. As a simple demonstration, let’s implement a ‘changelog’ feature – we’ll write all changes made in gantt in a neat list somewhere on the page. It adds handlers to the add/update/delete events for the links and tasks. If some particular handler is called, it will trigger vue event on our component with parameters. The next step is to add listeners for these events into app component and write a log of actions in another div. What you can see here – we’ve added an array property where we’re going to store log entries, a method that adds a new message to the top of that array (our log will show new entries first). Also we’ve added two more methods that will create log messages for actions done with tasks and links and add them to message stack. We’ve added a simple two-column layout, attached our log handlers to the gantt events that we emit from gantt module, added a container for log messages and bind them to our log messages stack. Now, if we make some changes to gantt, messages should be shown at the right side. If you want to display some info of the selected tasks, proceed to the instructions below. Here we’ve added onTaskSelected handler that is going to trigger ‘task-selected’ event. Also we should trigger it after inserting and deleting the task. Here we’ve added another container which is bind to selectedTask property of the app component using “v-if” directive. Also, we’ve added a handler for “task-selected” event we now emit. Thus, each time user selects task inside gantt, the component emits ‘task-selected’ event. Then this event is captured by the app component. Inside an event handler, we update selectedTask property, which in its turn invokes a repaint .gantt-selected-info element with the task details. Note that the task object has start_date/end_date properties of Date type and progress completion in float type – these should be formatted in human-friendly form before added to the page. Now, if we run our app and select some task, we should see that its info shows on the right. So, we’ve created a simple Gantt chart with the help of dhtmlxGantt and Vue.js. The results of our work can be found on GitHub. If you follow the instructions above and meet any difficulties, don’t hesitate to share them with us. Which technologies/frameworks are you using? Thank you in advance and stay tuned for new tutorials! Hi! Well done, many thanks! Do you plan to make a guide for ReactJS? It would be very helpful! You can use “request integration” button at the bottom of the article to vote for the next guide. We are happy to inform you that the guide about the integration of dhtmlxGantt and ReactJS is ready. Nice and clear, thank you! Helpful guide. Very easy integration! hello, this gantt components can use Chinese in Vue? how to make it work? wish you reply! thanks! We followed the tutorial and, unfortunately, were unable to reproduce the error you describe. We’ve sent some tips to you via email. hello,have you solved it? I met this problem, too. Otherwise, everything seems working as expected. How to Use dhtmlxPivot with Vue.js Framework? There is no need for any special integration, you can wrap the Pivot into the Vue view in exactly the same way as it was done for the Gantt component. Hi can u provide an example of integration of scheduler with vue js ? Unfortunately, we don’t have a tutorial for dhtmlxScheduler at the moment. Hi I have problem. 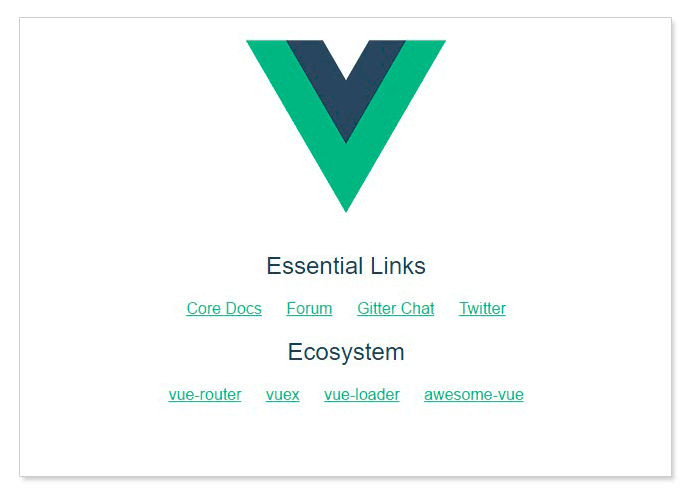 I use vue + vue-router + dhtmlx gantt. gantt page have multiple events.(ex. click light box..). How can I solve this problem? Thank you. It happens because dhtmlxGantt API event listeners (gantt.attachEvent) are attached each time the component is mounted. Since each time the code works with the same global instance of dhtmlxGantt, the same handlers are attached multiple times. We’ll update the tutorial asap. excuse me.in my project,i found a problem. when i copy your code,it’s running well. but when i get the task datas from database with ajax,it’ll call a error. the object on the above can’t get from database with ajax? The groupBy is available in PRO edition of dhtmlxGantt, while the version on npmjs.com is a Standard edition. In order for groupBy to work, you’ll need to add a PRO version of dhtmlxGantt to your project and add /ext/dhtmlxgantt_grouping.js extension. What a lovely gantt you have there, thank you for such tutorial. Can you please elaborate on this? Does the issue happen in the demo from this article, or does it happen in your app based on it? Please create a topic on our forum for that issue: https://forum.dhtmlx.com/viewforum.php?f=15 ? If you can make some kind of a test project which can be run locally and reproduces the error, it would help us a lot. Thank you! This works almost great. The only issue that I am having is populating the tasks from a db (firebase in this case). I pull the info with the created() function and on the vue chrome extensions it shows that the items have been updated, but are not shown in the actuall chart. You know what could be the solution to that? I have already connected all the events like adding tasks and links to firebase and it works. Is there a similarly comprehensive guide/article on using “dhtmlxGrid” with Vue.js? I’m evaluating dhtmlxGrid for a client project and will be using Vue.js for it. Will appreciate any info on any guides/articles on this. Hi, unfortunately, there is no way to use Grid with a vue component. Thanks for your response! Is there some working code/small app somewhere which demonstrates how the dhtmlxGrid works by wrapping it inside a custom Vue component? I’m evaluating dhtmlxGrid for a client project (also Gantt and dhtmlxSuite), so any helpful info on this.